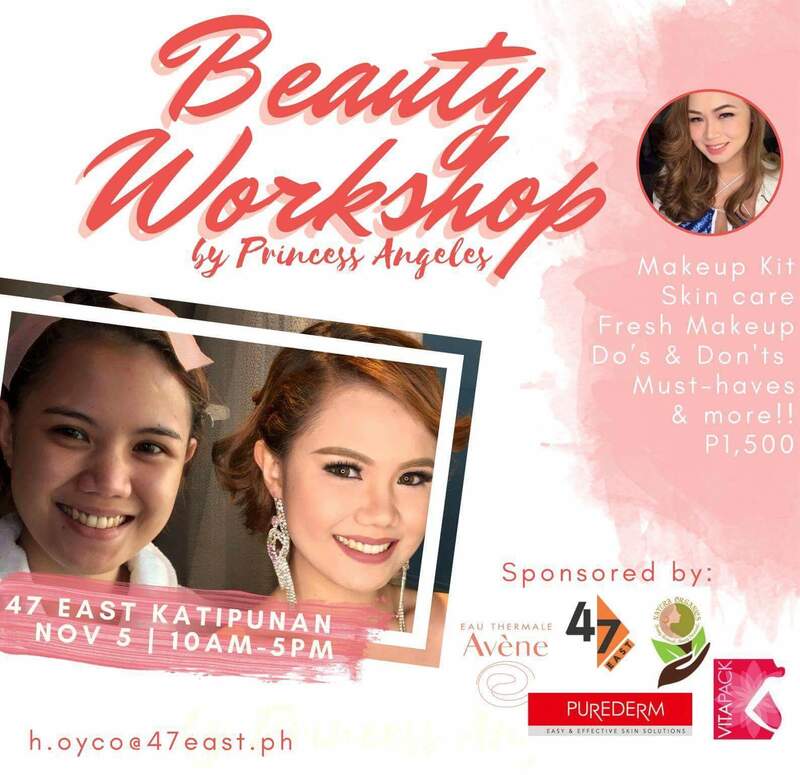 47 East is currently organizing a beauty workshop for makeup and skincare enthusiasts. Ms. Princess Angeles, a known makeup artist and a beauty editor will be the one to conduct the workshop. A Makeup kit, Skin care, Everyday Makeup, Morning to Evening Makeup, Do's & Dont's, Makeup must haves & more!! Event will be held at 47 East Katipunan on Nov. 5, 10am - 5pm. Everything for Php 1,500 only! !